Whenever I travel to a new destination, I’m eager to make sure it lives up to my ‘Big 5 list’ - culture, romance, adventure, entertainment and food. Whenever I travel to a new destination, I’m eager to make sure it lives up to my ‘Big 5 list’ - culture, romance, adventure, entertainment and food. These are my destination ‘must-haves’, and the quality of each determines whether I recommend a particular destination to my clients. Without hesitation, Barbados excels in these categories and I’d love to share my experiences of this beautiful island with you. Firstly, you’ll be happy to know that Barbados is located outside of the Atlantic hurricane belt. No scary weather risks here! With its turquoise waters, lush vegetation and English customs, Barbados is known as the “Little London” of the Caribbean offering a mix of familiarity with the exotic. Culturally, Barbados is sophisticated yet casual; warm, friendly and always distinctively charming. From luxury to intimate, expensive to affordable, there is something for every taste and every budget. This tropical island offers sun filled days and balmy nights. I love starting my mornings with breakfast in the warm, blue, sunny skies while listening to the waves - I feel like I have my own private symphony. Destination weddings are very popular in Barbados; how amazing would it be to begin your most important beginning in paradise! 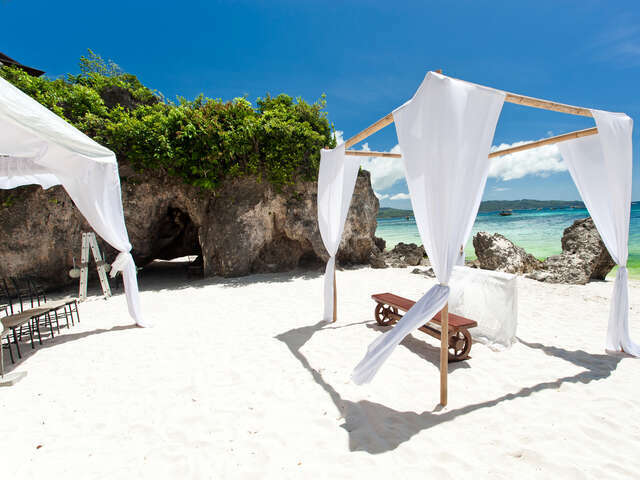 You can easily get married on a boat, under the cool shade of a flamboyant tree, in a church, in an elegant plantation home, a flower forest, by the ocean cliffs, or on a soft sanded beach. The choices are endless. Barbados is also an excellent choice for honeymoons, babymoons, family reunions and incentive groups. You can feel the love on this island! Barbados is more than sun and sand; this island has an incredible range of activities for almost every interest and taste. Harrison Cave is a breathtaking underground cave with bubbling streams and thundering waterfalls. Zip-lining is also available next to the cave. Explore the Sunbury Great House - an old plantation that offers daily tours where you will discover mahogany antiques, old prints and antiques used in plantation life. Atlantis Submarines is a family friendly underwater experience that offers so much fun! 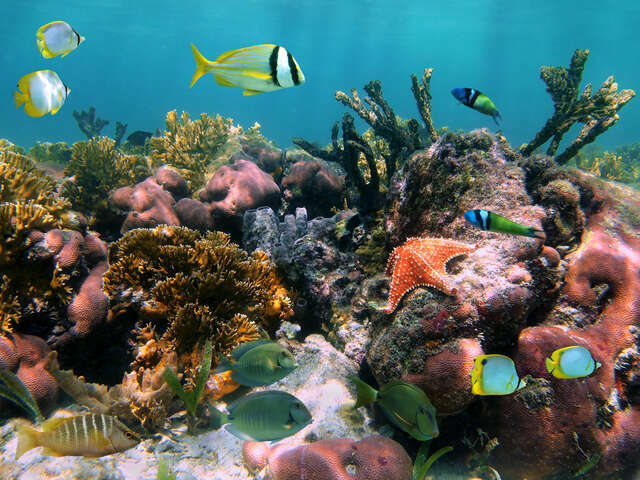 Scuba diving, snorkeling, paddle boards, kite surfing, parasailing, windsurfing and deep-sea fishing options are easily accessible throughout the island! For the golf enthusiast there are 6 championship courses. I also recommend Oistins Friday night Fish Fry. This is where locals and tourists meet and enjoy endless seafood, music, swap stories, meet new and old friends and enjoy an unforgettable evening! When the sun goes down in Barbados the fun continues! Barbados nightlife is extensive and offers diverse entertainment for every taste, from historical dinner shows to romantic cruises, exquisite dining options or dancing the night away. Most of the night clubs are located in St Lawrence Gap and along Bay Street where they feature live entertainment nightly. The majority of the bands play local calypso and reggae music but there are also several top R&B bands that play international music. Harbour Lights is one of my favorite spots. If you are a cruise guest in Barbados for the day, you will be delighted with a variety of activities offered throughout the island. Rum has been produced in Barbados for over 350 years and is recognized as one of the finest in the world today. Mount Gay and West Indies Rum Distilleries offer daily tours and tastings. Across the island you will see lots of colorful rum shops - stop in and have a drink, or as the locals would say “fire a shot”! I have to admit that I’m a bit of seafood junkie when I’m in the Caribbean! 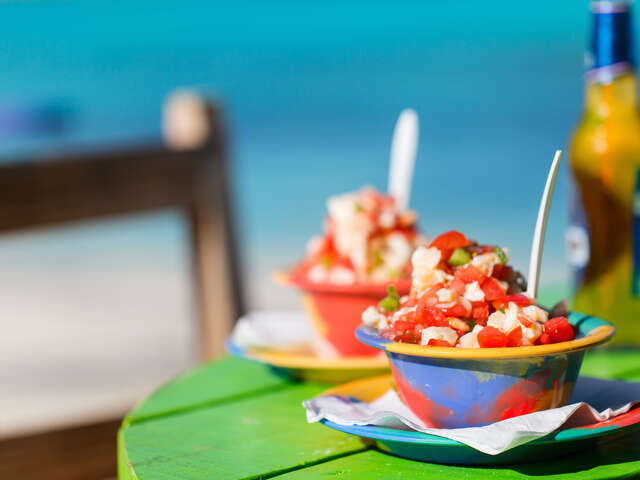 There is an abundance of fine restaurants in Barbados that offer local cuisine, seafood and continental cuisine. The wide range of dining options ensures there is something to suit every palate. During the day, informal attire is accepted in most restaurants but at night a more formal dress code is enforced. During the winter months I suggest making dinner reservations as some of the restaurants fill up quickly. The Fish Pot (on the west coast) is one of my favorite restaurants serving delicious fresh seafood. Brown Sugar is another fabulous choice with daily fresh seafood and local cuisine. Another famous option is Tides; their menu offers an extensive variety including vegetarian options. You have the luxury of choice in Barbados with a variety of all-inclusive resorts, self-catering condos, private villas, guest houses, bed and breakfasts, plantation houses, apartments and hotels. If you choose to rent a car, please keep in mind that driving is on the left side of the road in the British fashion. You must obtain a Barbados driving license which can be obtained at all authorized car rental companies and the cost for this permit is $5 USD. You must have your Canadian driver’s license with you to obtain a driving permit. I highly recommend renting a car while on the island to explore. If you are more comfortable sitting back and relaxing while someone else drives, you will be relieved to know tour operators and taxis are easily accessible and have first-hand knowledge of all the hidden gems. I do hope you will experience the charming nature of the Bajan people; their welcome is even warmer than the Caribbean sun! After you return from Barbados, you’ll have warm-hearted memories that are only curable by a return visit. I would love to customize your next Barbados holiday package for you, your families and friends with hassle-free flights from all major gateways in Canada with great connection times and accommodations for every budget. Please contact me to arrange your next Caribbean dream holiday - I look forward to making your dream destination an extraordinary experience! CLICK HERE TO CONTACT JOAN!